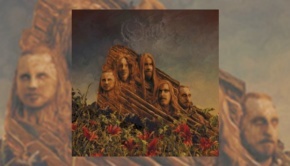 The eleventh release from Swedish chameleons Opeth, Pale Communion has been much anticipated after the change of direction that occurred with 2011’s Heritage. 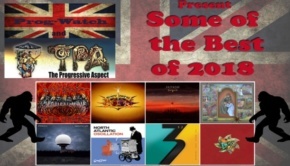 That album split the fanbase somewhat with a change of style towards more ’70s influenced progressive rock, most of the band’s metallic past left aside. The supporting shows were also devoid of any of the death metal vocals of yore, replaced by the sweet phrasing that leader Mikael Åkerfeldt has utilised here and there throughout the band’s career. With the new album written and produced by Åkerfeldt and again mixed by Steven Wilson, the expectation was for a development of the Heritage sound rather than a return to anything reminiscent of their earlier work. And that is largely what we get with Pale Communion, a large slice of the soundscape taken up by new keyboardist Joakim Svalberg who joined the band for the Heritage tour after the departure of Per Wiberg in 2011. The first thing to note is the prominence of the Hammond organ, right from the opening of Eternal Rains Will Come where it flurries in with the drums to set the scene. The sound is so redolent of many a classic ’70s moment that you can’t help but cast your thoughts in that direction and it retains its position centre stage throughout a fine opening track. Coupled to this are the strong vocals and emphasis on melody which was something that Åkerfeldt was keen to develop. The harmonies are particularly impressive – again see Eternal Rains Will Come – and Mikael gives the vocal performance of his career on this album. As expected the death metal vocal mannerisms are left in the locker again this time, the only growling coming from the Hammond. You can’t help but admire the breadth of skill that has gone into arranging the eight pieces here. These are not songs as such but flowing emotional streams that are done when they have fully run their course. Pale Communion sees Opeth truly come of age. All of their albums are impressive achievements in their own right and the arc of development that they have followed through their now 20-year plus career has been enthralling, not least the leap of faith that was Heritage. The band have stuck to their guns and insisted that listeners absorb the band as they are now, and so it continues with Pale Communion which in sound is similar to Heritage but another development along the road, incorporating previously explored elements from such albums as Damnation and Ghost Reveries and expanding the envelope of what the band are capable of. But it still begs the question, after Heritage shouldn’t it be more experimental in terms of the sonic structures? Does it fail to do anything really boundary pushing and instead consolidate their current position? As a listening experience Pale Communion covers the whole gamut from quiet introspection through pounding metal to exhilarating prog crescendos and it is certainly a hugely enjoyable album. The movement the band achieve within the music, the building and breaking of themes and feelings, the exquisite nature of the compositions themselves makes this a great album indeed and probably the most satisfying they have produced to date. After the extraordinary opener Cusp Of Eternity is a rockier beast with a compelling vocal from Åkerfeldt that winds in and out of the accompaniment. It is thumping and direct, the obvious choice for lead taster from the album, and doesn’t hang around as we’re soon into a dynamic wordless chorus. Fredrik Åkesson’s guitar solo and the instrumental parts are impressive and powerful, the band brimming with confidence leading to very satisfying results. 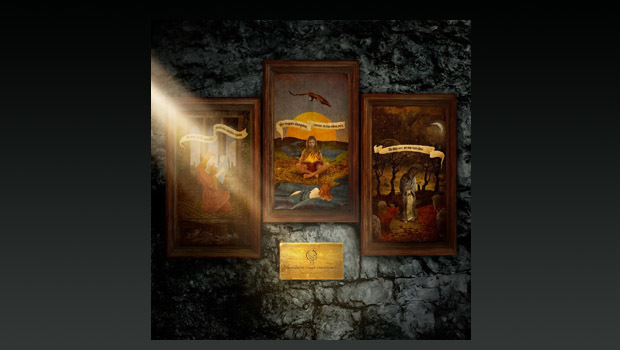 Moon Above, Sun Below is the longest track and is an object lesson in how well Opeth can arrange an extended piece to eloquently cover a lot of ground through seamlessly joined sections. Sinister rhythms, stabs of Hammond and a questioning vocal couple with instrumental bursts that could be from an Opeth album a decade ago. The tricky riffs are delivered with power and style, Mellotron adding the “spooky church yard at midnight” sound. The Hammond is again a key component of the melody line, everything falling away with a lamenting guitar as the vocal becomes more subdued. The variations that Åkerfeldt achieves in his vocal technique colour the mood swings throughout Pale Communion and we’re soon off on a more insistent tone with pounding drums from Martin Axenrot as the intensity builds again. A capella vocals break things down again into a beautiful section of acoustic guitars and despair until a sinister Hammond riff leads to one of the most memorable sections of the album as Åkerfeldt’s vocal explodes into choral stabs and stop/start rhythms. The conclusion builds on guitar and organ with strings to a quiet outro of piano. This is a real rollercoaster of emotion and style, all impressively done, and one of the key tracks. Elysian Woes takes things in a different direction with guitar and backing quiet throughout; the flipside of what has gone before and not what might be expected. Mellotron swells in the second half as the rhythm beds in but this is all about Åkerfeldt’s vocal delivery, the superbly plaintive ending fitting the title. Another flip and we’re into the instrumental Goblin which again sounds just like you think it should and is another highpoint. A distinct change to anything the band have attempted before, it references ’70s sounds and the band of the title but gives it all a contemporary twist. There is a cheeky malevolence to it that is quite unexpected, a lot more upbeat than usual and with a glint in the eye as the repetitive guitar figure sets up the keys to bounce off the rhythm. River is a bit of an enigma and puzzling at first but over time reveals itself as another key track. An acoustic ballad to start, the sound is reminiscent of the languidly flowing water of the title. The rhythm is easy, multi-tracked vocals delivering emotion – this is more Eagles than Venom – and it is certain to come as a surprise to many. 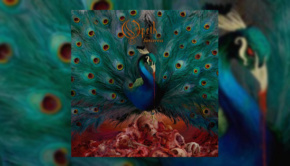 But it works and remains within the Opeth brief, albeit at the outer edges, surprisingly uplifting and lacking the darkness that one expects from much of the band’s work. With Åkesson soloing beautifully the mid-point sees a stark shift; the organ again takes over and links beautifully with acoustic guitar as the track shifts through the gears for a stampeding instrumental blast of guitar soloing over organ and drums – we’ve hit the rapids! Bouncy twin guitars drop into tricksy prog on a repeated figure before Mellotron swells – this is more ’70s than most stuff from the ’70s and a rollicking good listen. A track of two halves indeed but it all works. The last part of the album opens with Voice Of Treason which starts out dark, strings and drums with Arabian guitar in the distance. The drum rhythm makes it work, the mix of strings and organ spreading a sense of dread before bursting out the vocal and some intricate guitar additions. A stop and re-boot with epic choral vocal, the changes keep the track moving forward as a riff that could have come from Opeth at a much earlier point in their career emerges, the serpentine guitar and keys winding around as the rhythm builds into a sweeping faux-finale of strings, Mellotron and wonderful vocals. If this ain’t prog I don’t know what is. It all fades out unexpectedly to growling Leslie Hammond, plaintive vocal over Rhodes piano to a particularly quiet finish of strings that builds seamlessly into the funereal Faith In Others, stately and moody with an imploring vocal. This is jaw-droppingly accomplished stuff, it fades and builds again with a beautiful performance from Åkerfeldt over Stewart’s superb strings; absolutely wonderful, this is epic and organic anti-metal. Another change and we’re into a folky acoustic guitar with soloing electric flying above until the piece fades on a wordless vocal to sublime string finale. Wow, great stuff. There are many pluses to Pale Communion. Axenrot’s superb drumming; Åkerfeldt’s vocals and the harmonies; the use of strings; the Hammond and Mellotron from Svarberg, along with the other authentically ’70s sounds in his arsenal, relayed with bang up to date recording and production techniques; the counterpoints in feel as the music leaps from one style to another, jumping around like an outburst of creative Tourette’s. Overall I think it is a better release than Heritage and a hugely satisfying listen. The way the songs change course on a sixpence without sounding clunky is a credit to all involved. None of the pieces can really be described as epics but they all take the listener on a multi-section journey. Will it gain them many new fans? I wouldn’t have thought so, it doesn’t do much that is new, it just does it better. The cover, again by Travis Smith, is worthy of note, the Latin phrases of the triptych images quoted from classic works and translated to “Don’t you know, my son, with how little wisdom the world is governed?”, “In these days friends are won through flattery, the truth gives birth to hate” and “He grieves truly who grieves without a witness.” All uphold the melancholy world-view that is – as it should be – at the heart of all things Opeth, a key part of the band’s continuing appeal. Pale Communion is certainly a development from Heritage which has underlined where Opeth now reside in terms of their overall sound. The darkness is still there but the overt metal tendencies are now completely subsumed into a more melodic and organic framework. Those hoping for a return to the old Opeth (are there really any people with genuine hope of that still around?) will unsurprisingly be disappointed. Anyone with an appreciation of the band’s previous work and an open mind will be enthralled. This is truly interesting and enjoyable music in the true progressive style that doesn’t get anywhere near to prog metal territory. It roams around doing what it wants to do in whatever style suits whilst retaining an Opeth feel that is to be commended, staying true to itself while building on Heritage and pushing the boundaries just enough. There is nothing staid or re-heated about this release and as such the quality of the listening experience is testament to the hard work that has gone into its creation. 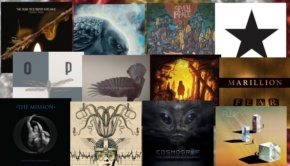 This is uplifting music of real quality and surely that is what a progressive album is supposed to be.